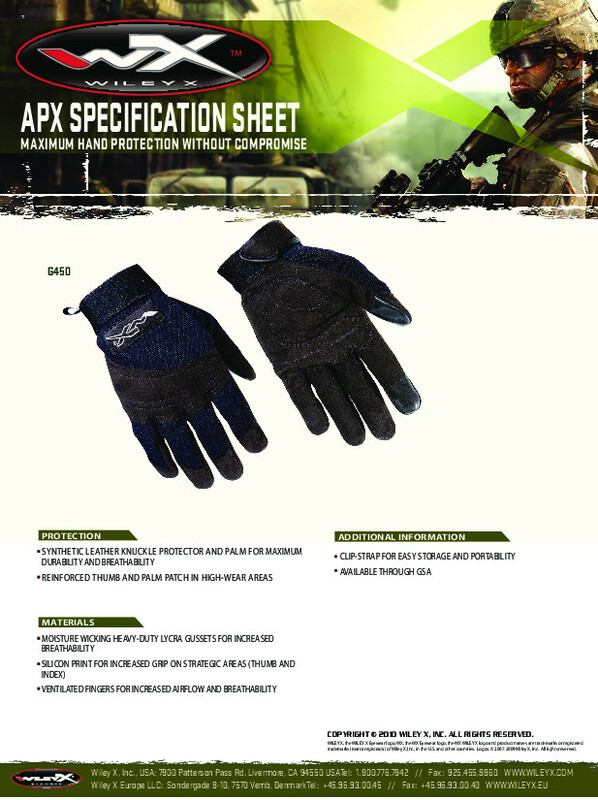 The new Wiley X APX Glove is designed for the heavy-duty workload of a maintainer. It provides the wearer with serious hand protection, thanks to features like synthetic leather knuckle protectors and palms for maximum durability with excellent breathability. Reinforced thumbs and palm patches provide even greater protection and durability in these high-wear areas. The breathability of these advanced gloves is further enhanced by the use of moisture wicking, heavy-duty Lycra gussets. Combined with unique ventilated fingers for increased airflow, this design keeps hands from overheating, even when under fire. Wiley X also adds a silicon print strategically placed on each thumb and index finger, providing increased grip — and confidence — when the action gets hot and heavy. An integrated heavy-duty clip strap provides for easy storage and portability in the field. Synthetic leather knuckle protector and palm for maximum durability and breathability. Reinforced thumb and palm patch in high-wear areas. Moisture wicking heavy duty lycra gussets for increased breathability. Silicon print for increased grip on strategic areas (thumb and index). 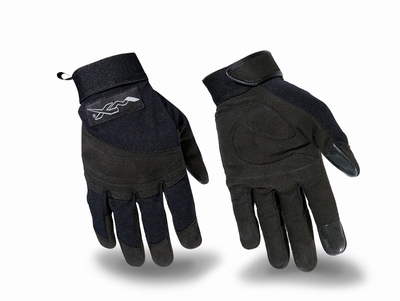 Ventilated fingers for increased airflow and breathability. Clip-Strap for easy storage and portability.